Love listening to your music that you can’t bear to part with it wherever you go? Well, Sony has just the thing for you then with their spanking new waterproof NWZ-W250 Walkman MP3 player that allows you to listen to your favorite tunes wherever you are, even when it is raining when you exercise. Of course, chances are most folks dressed in suits would eschew this for something more formal simply because of their lifestyle, but the more active ones among you who absolutely need your music whenever you sweat it out outdoors might want to give this a shot, especially when it is water resistant and can be used even in the shower. To top it all off, the NWZ-W250 Walkman MP3 player is wearable for easier portability, making it the perfect fit for sport and active lifestyles. 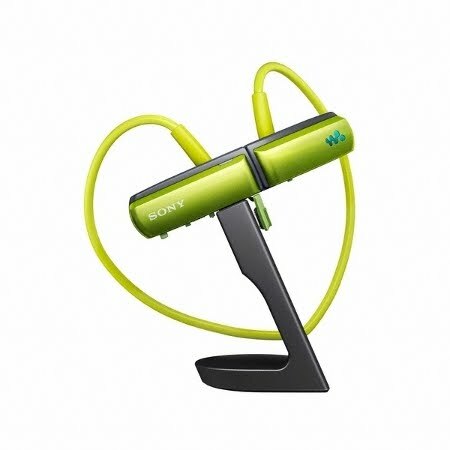 The NWZ-W250 Walkman MP3 player is proud to be the first wire-free MP3 player from Sony which is capable of resisting rain splashes or sweat of a gruelling gym session. All you need to do after exercising is to rinse the NWZ-W250 under the tap until all your sweat and grime is washed away, or you can do so while having a post-workout shower with your favorite tracks still making music into your ears. Nice to know it doesn’t come in just one drab color, as you can choose from a quartet of sporty colors, while the light, all-in-one design does away with the classic tangle of headphone wires which will be a damper especially when you’re trying to concentrate on your workout, running session or dancing class. It ships with 13.5mm EX Series headphones that offer clear, powerful Walkman sound alongside total comfort and a secure fit during physical activity. For those who want to go through their playlist quickly, the ZAPPIN technology included will scan through stored tracks, playing a short sample from each song to help you choose the correct music at that particular time. The more forgetful ones will definitely love the quick 3-minute charge time that offers enough juice to keep it running for 90 minutes of non-stop audio playback. When fully charged, the battery offers up to 11 hours of uninterrupted listening time, which is more than enough even for marathon runners. No idea on pricing, but the NWZ-W250 Walkman MP3 player will arrive in store shelves from Sony later this May.